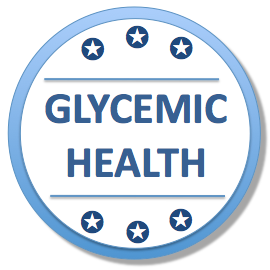 Many groups are promoting a plant-based diet to help maintain healthy blood sugar levels, also called Glycemic Health. Others have used a different approach and have stopped consuming carbohydrates as much as possible. Both approaches have been shown to be successful. A more compelling benefit o f resistant starch is that it changes the underlying glucose (sugar) metabolism within the body. It significantly improves insulin sensitivity, or how quickly the body’s muscles and tissues respond to the signals of insulin, which effectively lowers the amount of insulin required to maintain control of blood sugar. (Click here for insulin sensitivity basics). A plant-based diet will deliver more resistant starch than a typical modern diet, but how much more depends upon whether resistant-starch rich plants are consumed or not. Increasing insulin sensitivity is a game changer! The CDC estimates that 86 million American adults (or 1 out of 3 adults) have prediabetes (click here for infographic). Traditionally, there has been little focus on prevention of diabetes. But, it is becoming very apparent that we have to focus on prevention to avoid a full-blown global crisis. According to the International Diabetes Federation, in 2013, diabetes caused 5.1 million deaths and consumed US$548 billion dollars in health spending (11% of the total spent worldwide, according to the IDF Diabetes Atlas). “Today, there are 382 million people living with diabetes…Without concerted action to prevent diabetes, in less than 25 years’ time, there will be 592 million people living with the disease. Most of those cases would be preventable,” (page 7 of the IDF Diabetes Atlas). American health professionals are ramping up their efforts. The American Diabetes Association has maintain a program called Stop D iabetes for many years. In March of 2015, the American Medical Association and the Centers for Disease Control joined the American Diabetes Association and launched a new program called “Prevent Diabetes STAT (Screen/Test/Act Today™)” which promotes tools for healthcare providers to screen and refer people to diabetes prevention programs in their communities. Click here to see the CDC’s press release. In addition, new legislation is being introduced to focus on diabetes prevention (i.e., the National Diabetes Clinical Care Commission Act which was introduced into the Senate in February of 2015). The call to act is becoming more urgent and mainstream. American consumers are hearing about prediabetes for perhaps the first time. This focus will only get stronger and more insistent, as more and more people are diagnosed with diabetes and the increased health care costs strain our ability to pay. Until now, the best evidence on reversing prediabetes requires exercising and losing weight (according to the National Diabetes Prevention Program from the CDC). While this remains the most proven method, resistant starch can help. It offers a new tool that complements exercise and weight loss but is not dependent on exercising and losing weight. In the eight clinical studies showing improved insulin sensitivity from resistant starch consumption, the participants in the clinical studies did not exercise or lose weight and still experienced a significant (up to 50% improvement in insulin sensitivity), beginning after one meal. (Click here for more information on the eight studies.) Additional clinical studies have also shown that it can help to improve satiety and reduce food intake. (click here for more information on the weight control benefits of resistant starch). All of which will complement and add to the proven prevention approaches by public health authorities. Reducing the glycemic response of a meal is like a base hit in peewee baseball league – you’ve got to keep eating low glycemic foods/getting base hits, day after day, year after year, to see the long-term benefit. On the other hand, improving insulin sensitivity is like a home run in a major league championship series. You see the benefit right away and the people the need it the most have the best response to it. Individuals with high levels of insulin see better improvements in insulin sensitivity than healthy individuals at the same dose of resistant starch. Resistant starch does not reduce the Glycemic Index of foods, as this particular technique compares a higher quantity of high fiber food to a lower quantity of regular food. To put this into more understandable terms, it compares the glycemic response of 5 slices of high fiber bread made with resistant starch with 4 slices of white bread because both contain 50 grams of glycemic carbohydrates, (the official definition for the Glycemic Index). You would not eat this way – people would substitute high fiber bread for white bread on a slice for slice basis. The Glycemic Index method requires the comparison of 50 grams of glycemic carbohydrates from a test food to 50 grams of glycemic carbohydrates from a known food like white bread or glucose. For this reason, Glycemic Index does not capture the blood sugar impact of foods with fiber. 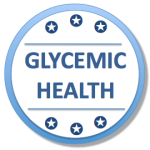 It is a major flaw and one of the major reasons why the scientific summaries emphasize that reducing the glycemic response of foods should be considered in combination with a high fiber intake for overall health.